Hilton Imperial Dubrovnik is one of the best boutique hotels in Croatia. Set in a historical building built in 1895, and a private villa built in 1913, Hilton Hotel is a hub of beauty, relaxation, and luxury. Here are five reasons you should stay at Hilton Imperial when visiting Croatia. Hilton Hotel is located in Dubrovnik’s Old Town, meters away from the Pile Gate, the grand entrance of the town. It is also close to Banje Beach, a place where you can lay under the sun and enjoy the calming sea breeze. The hotel is also a few miles away from the Dubrovnik Cilipi International Airport. Hilton Hotel rooms are convenient and comfortable They have got high quality luxury bedding to give you better sleep. The perfect place to relax or catch up on work with all the amenities you need for both. Their range of rooms includes guest rooms, executive rooms, accessible rooms, and suites. Click here to know more about the hilton hotel pillows. 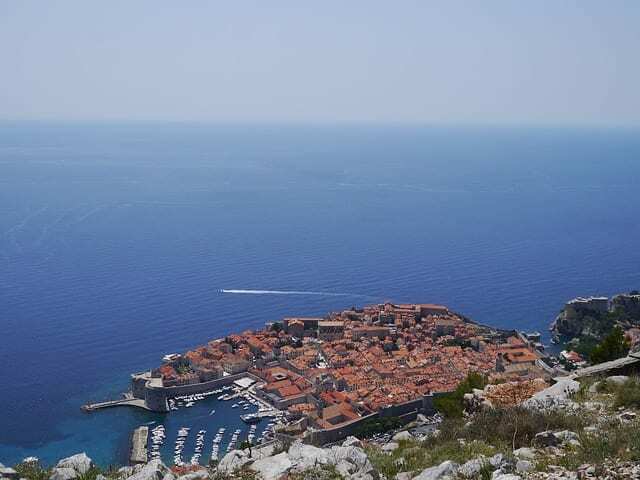 Enjoy a beautiful view of Azure Adriatic sea and Dubrovnik’s Old Town, high-speed wifi to surf the web, spacious rooms with a comfortable working area if needed, plush carpets, marble bathrooms, and complimentary breakfast and refreshments. Hilton’s health club is well known for fostering rejuvenation, relaxation, and restoration. The health club has an experienced team of over 20 years that provide professional VIP treatments and a personal approach to wellness. Its beauty line center provides several world class services including facial treatments, massage treatments, and body therapy. You can choose to have any of the treatments in one of the four indoor spa treatment rooms in the health club. In addition, guests can enjoy a nice swim in the indoor pool, soak up the sun or enjoy breathtaking views of the sky in a curved glass roof, detoxify in the sauna or steam room, and sweat if off in the fitness room. Hilton Imperial offers one of the best dining experience you will have. Enjoy a unique menu of both sweet and savory dishes prepared with only the freshest ingredients. Meals can be taken in one of their several dining areas and lounges. The executive lounge hosts guests in the executive rooms and suites. Hilton’s Porat restaurant is the place to enjoy the local cuisines as well as other delicious Mediterranean dishes. The Lobby bar is a perfect place for a cup of coffee and a light snack any time of the day. The lounge bar, located on the terrace of the Porat Restaurant, and is a cool place to sip a glass or wine or cocktail while listening to beautiful live music. Hilton Hotel offers some the best of amenities and services for business, personal vacation, or a well-needed family downtime. For business, there are photocopying services, business centers, meeting rooms, office rentals, and more. For the family, enjoy family vacation packages and a children’s menu. There are also gift shops; concierge stands, shoe shine stands, luggage holds, newsstands and more.